Buying a new washing machine can really wring out your savings. While making your own machine may seem like a drastic step, it will not only help the environment, but also leave your clothes—and your conscience—squeaky clean! When a new washing machine can cost up to $1,000, there are plenty of reasons to consider a cheaper alternative before trekking to the appliance store. Well, you can’t get much cheaper than this: If you’re doing laundry for only one or aren’t ready to spend so much on a brand-new model, you can always build your own. Industrial designer Michael Perdriel was far from home when he first dreamed up his design for a DIY washing machine—7,586 miles away, to be exact, in Hyanja, Nepal. Here, Perdriel collaborated on a plan for local families that couldn’t afford a washer and dryer. But the benefits of this $50 version extend well beyond the small town in Nepal: Perdriel’s DIY conserves both water and energy and, because it’s entirely human-powered, provides a good workout too—minus the cost of a gym membership. 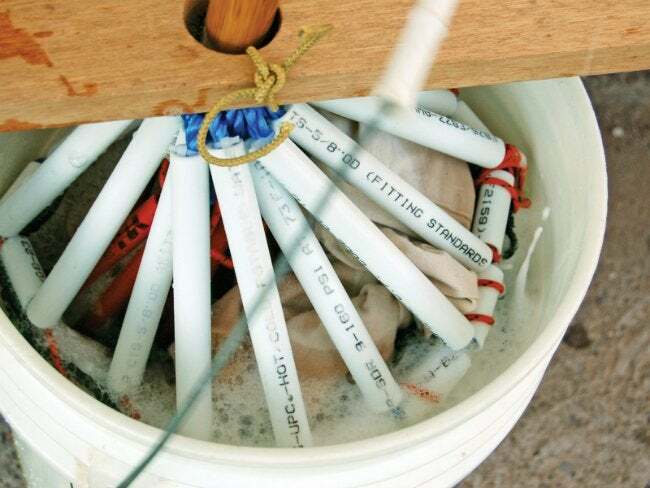 The washer consists of three main parts: a five-gallon bucket shell, a net bag to hold the dirty clothing, and a lever-driven shaft mechanism that sets the entire contraption in motion. Two cones made from short cuts of plastic tubing, which sit at either end of the net bag, achieve the agitation necessary for an effective wash by squeezing and releasing the clothing with every pump. 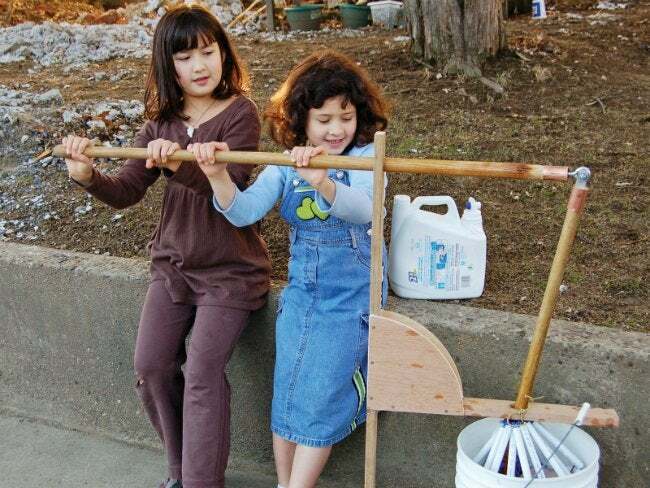 When the handle of the lever is pushed down, clothes are lifted out of the water and wrung out between the tubing; release the handle, and the laundry gets dunked back into the water. The long pump handle offers ample leverage, so operating the machine is a breeze. True, the small capacity isn’t for everyone. Lighter loads work best—ideally no more than five pounds of clothes at a time. But if you’re doing laundry for one or two people, this eco-conscious machine may be the easiest way to tackle smaller daily loads or delicates. And if you don’t have a washing machine at all, you’ll be able to avoid the crowded laundromat altogether. Whether you long to live off the grid or you’re just trying to beef up your savings account, there’s a laundry list of reasons to give this DIY a spin!